Running a growing WordPress website is not without its challenges. Whether you are working for someone or have multiple team members you need to keep on the same page, storing notes on your site can help. 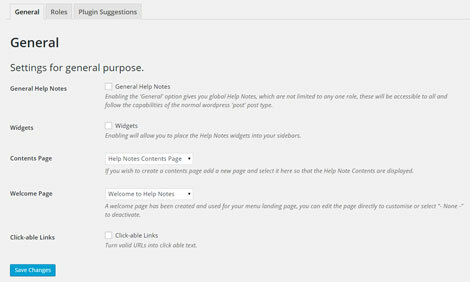 Role Based Help Notes for WordPress happens to be a plugin that lets you manage role-based help notes on your website. The plugin lets you store global help notes. Check the ‘Widgets’ option to include help notes in your sidebar. The script lets you select which roles to create Help Notes for. You have the option to turn valid URLs into clickable text and add your contents page in the back-end. Webmasters can use this tool to share tips, formal notes, team updates, and other information with certain users. The Role Based Help Notes plugin makes displaying role-based notes on your site easy. You have the option to use plugins such as User Role Editor to get more out of this script.